Just recently a colleague in France suggested I might enjoy a BBC radio program she had just heard in a series called Sound of Dance. The particular program, ‘The Contemporary Ballet Composer’, was hosted by Katie Derham and concerned music specially commissioned for dance. It included, as it happened, excerpts from two works we are shortly to see in Australia—’In the garden’ by Max Richter from the score for Wayne McGregor’s Woolf Works, and ‘Mad Hatter’s tea party’ and ‘Cheshire cat’ by Joby Talbot from the score for Christopher Wheeldon’s Alice’s Adventures in Wonderland. * The program also contained excerpts from an interview with composer Sally Beamish, currently working on a score for David Nixon’s The Little Mermaid for Northern Ballet, on how she approached composing for dance. … a luscious and evocative ninety minute score for small orchestra and soprano voice, which has had an ongoing life. A concert suite from Wild Swans is commercially available on compact disc and extracts from it, especially ‘Eliza’s Aria’, receive regular airplay. ‘Eliza’s Aria’ was also used in the United Kingdom in a series of six television and cinema advertisements in 2007 for the financial institution Lloyds TSB thus bringing the musical composition to a much wider (and enthusiastic) audience. The ballet itself, with its extraordinary and beautifully fluid projections by Régis Lansac and arresting costumes by Angus Strathie, its references to Hans Christian Andersen’s fascination with paper cut-outs, and some spectacular choreographic segments, was a joint commission from the Australian Ballet and the Sydney Opera House in celebration of the 30th anniversary of the opening of the Opera House. It premiered in Sydney in April 2003. Sadly, Wild Swans, the ballet, has never been revived and, not only that, it seems Tankard’s name is often disregarded when the music is played, even though she was the choreographer whose work allowed the score to be created. That this happens, and it happens to other choreographers in addition to Tankard, highlights the problems faced by contemporary choreographers in gaining long-term acceptance and understanding of their work and their processes. The work had a very slow evolution. It was quite exhausting really. There was a constant review and editing process. Every day things changed. Sometimes there was a lot of frustration, even indignation amongst the dancers because we’d spend so much time creating steps, the mood, and the emotion and then Meryl would edit it out. Looking back at my Wild Swans material, and without being at all critical that the score still (deservedly) enjoys popularity, it continues to bother me that the ballet has never been revived. As a work of extraordinary, and absolutely hands-on collaboration it deserves to be seen again. * The program is available until c. 16 July 2017 at this link. Podcasts of this series, apparently, are available only in the UK. ** None of these items is available online. In February I had the pleasure and privilege of recording an oral history interview with Michelle Ryan for the National Library’s Oral History and Folklore Collection. 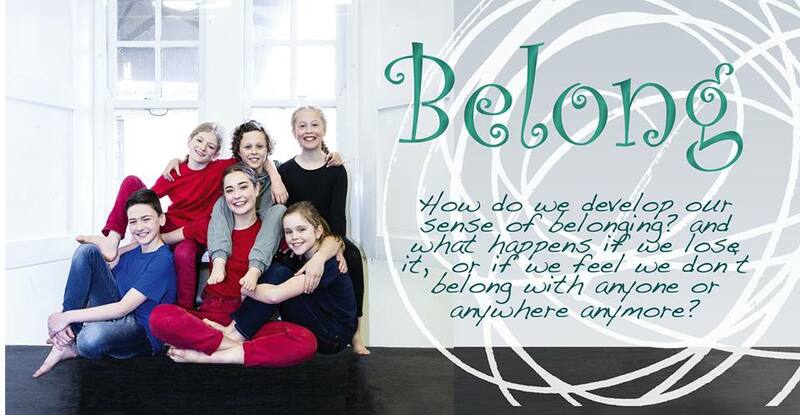 Ryan is currently artistic director of the Adelaide-based Restless Dance Theatre. Canberra audiences may remember Ryan as a member of the Meryl Tankard Company. She joined in 1992 so was only seen during the last year of the company’s four year stint in Canberra. When the company moved to Adelaide in 1993, becoming Meryl Tankard Australian Dance Theatre, Ryan went with them. She danced in all the works Tankard staged in Adelaide and was an especially wonderful tap-dancing fairy in Aurora. In the interview she explains that tap had been one of her childhood specialties when she was learning to dance at the Croft Gilchrist School of Dancing in her home town of Townsville. Ryan’s story, including her struggle with the ravages of multiple sclerosis, is an amazingly courageous one and is told with honesty and integrity. She has not placed restrictions on the interview and it will be available as online audio over the National Library’s website in due course. In February I also caught up with Melbourne-based film maker Philippe Charluet who has been in Canberra working on a project called The Heritage Collection. Charluet filmed most of Graeme Murphy’s productions during Murphy’s artistic directorship of Sydney Dance Company and The Heritage Collection will showcase excerpts from many of those shows. It is still in its early stages but what a nostalgic look back it gives already. And oh the beautiful Katie Ripley in the Grand promo (to choose just one artist). ‘Staging unique challenge’. Review of A Tale of Two Cities, The Canberra Times, 7 February 2014, p. Arts 6. Online. 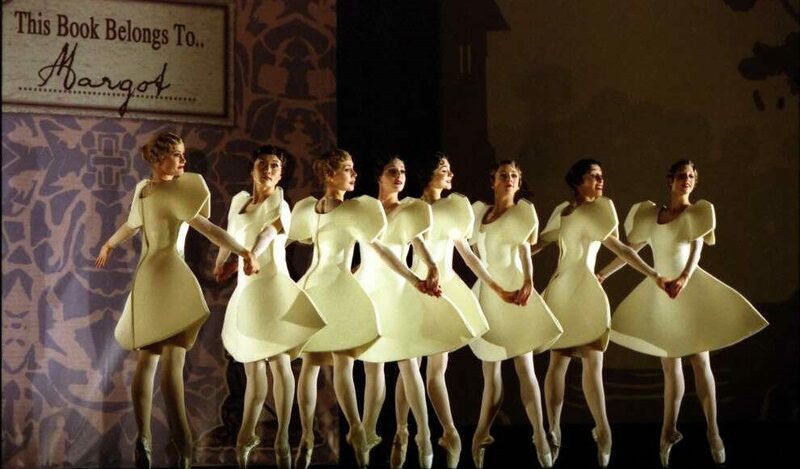 With Alexei Ratmansky’s Cinderella now playing a Sydney season with the Australian Ballet, it was a delight to hear that in 2014 Sharmill Films will be screening Ratmansky’s Lost Illusions, a work based on the novel by Honoré de Balzac and made in 2011 for the Bolshoi Ballet. It opens at cinemas around the country on 29 March 2014. Follow this link for the full Sharmill program of ballet screenings. I am, however, also looking forward to the visit to Australia (Brisbane only) in 2014 by American Ballet Theatre when Ratmansky’s gorgeous work, Seven Sonatas, will be part of the company’s mixed bill program. I wrote about this work in an earlier post. It is truly a work worth seeing. In the meantime I am looking forward to further viewings of Cinderella very soon. More later. The dance awards in the annual Canberra Critics’ Awards this year went to Liz Lea and Elizabeth Dalman. Lea was honoured for the diversity of her contributions to the Canberra dance scene, in particular for her input into the dance and science festival she curated in collaboration with Cris Kennedy of CSIRO Discovery, and for her initiatives in establishing her mature age group of dancers, the GOLD group. Dalman received an award for Morning Star, which she created on her Mirramu Dance Company earlier in 2013. Morning Star was based on extensive research in and travel to indigenous communities and the final product used an outstanding line-up of performers from indigenous and non-indigenous communities and mixed indigenous and Western dance in insightful ways. Canberra’s National Portrait Gallery was recently the venue for a short program of dance presented by two Sydney-based independent artists, Julia Cotton and Anca Frankenhaeuser. Called Movers and Shakers and held on the last weekend of the Gallery’s exhibition of photographs by Richard Avendon, the short, 30 minute program was largely a celebration of dancers Avendon had photographed over the course of his career, including Merce Cunningham and Rudolph Nureyev. Cotton and Frankenhaeuser are mature age performers and it was a joy to see that, as such, they had taken their work to a different plane in terms of technique but had lost none of the expressive power that has always been at the heart of their dancing. The tiny objects you see on the white pillar on the left of the image above are little decorative items representing bees, which Frankenhaeuser initially wore on her face and which she removed and stuck on the pillar at one stage in one of her solos. This part of the program referred not to a dance portrait but to Avendon’s well-known shot of a beekeeper. It was a particularly strong and confronting solo by Frankenhaeuser who danced around the pillar—and was sometimes almost completely hidden by it—using little more that fluttering hands to convey her story. Hot to Trot, a program for young, Canberra-based choreographers has been around for fifteen years, although the recent 2013 program is the first one I have managed to see. As might be expected the short pieces, which included a few short dance films, were of a mixed standard. One stood out, however, and deserves a mention—Hear no evil, speak no evil. It was jointly choreographed by Kyra-Lee Hansen and Jack Riley who were also the performers. The dance vocabulary they created was adventurous and compelling and the work itself was clearly and strongly focused and well structured. Jack Riley will join the WAAPA dance course in 2014. News came in November from Meryl Tankard and Régis Lansac. Tankard’s acclaimed work The Oracle was performed in mid-November in Düsseldorf, Germany, by Paul White, now a member of Tanztheater Wuppertal, as part of a celebration of the legacy of Pina Bausch. At the same time, the gallery of Mac Studios in Düsseldorf held an exhibition of more than twenty large-format portraits of Tankard by Lansac. All were produced in the summer of 1984 in the Wuppertal apartment of the American art critic David Galloway. One of Lansac’s most striking images held in Australian public collections also comes, I believe, from the shoot Lansac undertook in this apartment. Follow this link. Philippe Charluet of Stella Motion Pictures has kindly given me permission to use clips from some of the work he has done with Meryl Tankard. They include excerpts from a short documentary, Meryl Tankard: a unique choreographic voice, made for Spring Dance in Sydney in 2011, and some excerpts from Tankard’s work Possessed, made for the Barossa Arts Festival in 1995 in conjunction with the Balanescu Quartet. The clips give a glimpse of Tankard’s extraordinarily diverse output (apart from being so beautifully filmed and edited) and make me wonder why works like Two Feet, Nuti and so many others have never been made available commercially. A unique choreographic voice; Possessed. I still have a few copies of my unauthorised biography, Meryl Tankard: an original voice, available for sale. Ordering details are at the end of this post. At one point, a very familiar accent cut the air. Australian dancer Meryl Tankard entered to reminisce about having lost her sunglasses in Venice. It was my first thrilling glimpse of this great artist and future choreographer. These two comments encapsulate two features of Tankard’s life and work in art. Firstly, her comment about just wanting simply to work highlights her commitment to, and pursuit of excellence no matter what obstacles might be placed in her way or whom she might cross in making her work. Secondly, Sharman’s remark encapsulates Tankard’s ability to couch the serious—in this case loss—behind humour and zaniness. Tankard is perhaps Australia’s one truly original dance voice. (The ‘battlefield quote’ is from an article by Tracey Aubin in The Bulletin in 1992; the quote by Jim Sharman is from his 2008 autobiography Blood and Tinsel: a memoir). Canberra is in the somewhat odd position of having no professional dance company but of having a strong youth company in QL2 and a group called the GOLDS that consists of older performers (over 55) most of whom have never been professional dancers. The GOLDS, which is directed by the irrepressible Liz Lea, recently gave four sold-out performance at the National Gallery of Australia as part of Canberra’s centenary celebrations. Called ‘Life is a work of art’, the event took place in front of various works of art and I hope to report a little more fully a little later when I have a little more information—I was at the dress rehearsal and no program notes were available. Suffice it to say for the moment that some pieces worked better than others but that as a whole this was a more than interesting event. Review of Opal Vapour published in The Canberra Times on 18 June. Admirers of Hannah O’Neill, and there are many if my web statistics are anything to go by, may be interested to read the following post on Laura Capelle’s website Bella Figura. In addition to what is written on the site, there is a link to an article written by Capelle for the American dance magazine Pointe. The article was published in the February/March issue of Pointe and Capelle has done a great job in getting O’Neill to open up about her experiences, including some of the difficulties she has faced in Paris. A news story on the Bodenwieser project being led by Jochen Roller, which I mentioned in last month’s dance diary, was screened on SBS TV a few days ago. The SBS story is available via this YouTube link. Below I have reproduced a photo of Marie Cuckson, who with Emmy Taussig assembled the Bodenwieser archival material and kept it in good order until she donated it to the National Library and the National Film and Sound Archive in 1998. The acquisition was part of the Keep Dancing! project, which was the forerunner to Australia Dancing. Marie Cuckson is seen in her home in Sydney in August 1998 with the material packaged and ready to be transported to Canberra. As a result of the Athol Willoughby interview conducted recently I retrieved the listing of dance-related oral histories in the National Library and the National Film and Sound Archive that used to be part of Australia Dancing. I have updated that list (an old version is on the PANDORA Archive). Here is the link to the updated version. It is a remarkable list of resources going back to the 1960s with early recordings by pioneer oral historian Hazel de Berg and, in the case of the NFSA, to the 1950s with some radio interviews from that period. It includes, for example, interviews with every artistic director of the Australian Ballet—Peggy van Praagh, Robert Helpmann, Anne Woolliams, Marilyn Jones, Maina Gielgud, Ross Stretton and David McAllister—and with three of the company’s administrators/general managers—Geoffrey Ingram, Noël Pelly and Ian McRae. But it is not limited by any means to ballet and in fact covers most genres of dance and the ancillary arts as well. That material held by the National Film and Sound Archive is included reflects the origins of the list, which was begun in the early days of the Australia Dancing project when the NFSA was a partner in the project (and in fact the major collecting partner in its initial stages). I have also posted the list on the Resources page of this website and will update it periodically as information about new interviews comes to light. It deserves to be more obvious than it is now—that is hidden in PANDORA in an outdated version—especially as it is not a static resource. February saw a huge jump in visits from France due largely to the post on the Paris Opera Ballet’s production of Giselle, which was the most accessed post during February by a runaway margin. Critics in France were curious about the reaction of Australian audiences and critics. As a result I have added ‘Danses avec la plume’ (the title refers a quote from Friedrich Nietzsche) from journalist Amélie Bertrand to my list of Resources under ‘Other sites’. 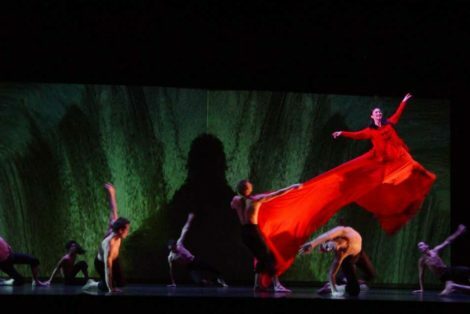 Coming in at fourth spot was a much older post on the Paris Opera Ballet’s production of Jiri Kylian’s Kaguyahime, which was having a return season in Paris in February. Interest in these two posts saw Paris become the fourth most active city after Sydney, Melbourne and Canberra. The second most accessed post in February was an even older one, my review of Meryl Tankard’s Oracle, originally posted in 2009. Tankard is currently touring this work in the United States. At third spot was a post on Pina Bausch’s Rite of Spring perhaps reflecting the wide interest in 2013 in the many dance activities associated with the 100th anniversary of the first performance of the Stravinsky/Roerich/Nijinsky Rite of Spring, of which the Tankard tour is one. Hannah O’Neill is now half way through her second year with the Paris Opera Ballet, having successfully negotiated another temporary contract at the annual examinations the company conducts each year. In her second year with the company O’Neill has taken particular delight in performing in George Balanchine’s Serenade, part of a program of three Balanchine ballets that began the 2012‒2013 season. Sadly for her Australian admirers however, she is not coming to Sydney for the Paris Opera Ballet’s season of Giselle to be staged in January‒February. She says that, as she is still on a temporary contract, she wasn’t expecting to tour but that the bonus is that she will be performing in Paris in February in Jiri Kylian’s Kaguyahime. With a company of over 150 dancers, the Paris Opera Ballet has the luxury of being able to tour while maintaining a regular program in Paris at the same time. Kaguyahime, a spectacular piece of theatre, will be O’Neill’s first experience dancing a contemporary work since she has been in Paris. Early in December Michelle Ryan was appointed artistic director of Restless Dance Theatre in Adelaide. Many will remember Ryan I am sure from her performance days with Meryl Tankard. She joined the Meryl Tankard Company in Canberra in 1992 and then moved to Adelaide in 1993 remaining with Meryl Tankard Australian Dance Theatre until it disbanded. More recently Ryan has been working as rehearsal director with Dance North. For more about the history of Restless Dance, a contemporary company working with people with and without a disability, the National Library holds an extensive interview with Kat Worth, artistic director of Restless Dance 2001–2006. Here are some shout-lines from some who have read Meryl Tankard: an original voice: ‘It has a sense of drama but also balance, and it brings Meryl and her work to life’; and ‘The best and most comprehensive study of Tankard I have read’. Order a copy and see for yourself. Following requests from a number of readers for a copy of Meryl Tankard: an original voice, which appeared in eight parts on this website between July and September, the book is now available in print form. Ordering details are at this link. Please note that this is a self-published initiative and has not had the benefit of professional design; nor does it include any illustrations. Both were beyond the scope of this venture. It does however include material not published online including a preface, introduction, bibliography, index and the full list of choreographic works, updated with the addition of Cinderella (2011) for Leipzig Ballet, which will be restaged early in 2013 in Leipzig, and The Book of Revelation, the film directed by Ana Kokkinos that Tankard choreographed in 2006. The Canberra Critics’ Circle announced its annual awards during November. The dance panel gave two awards this year. One went to Adelina Larsson ‘for her initiative in facilitating the development and performance of contemporary dance in Canberra, in particular for her work as director of short + sweet dance, and for her collaborations with independent artists from across Australia to bring a broad spectrum of contemporary dance to Canberra’. 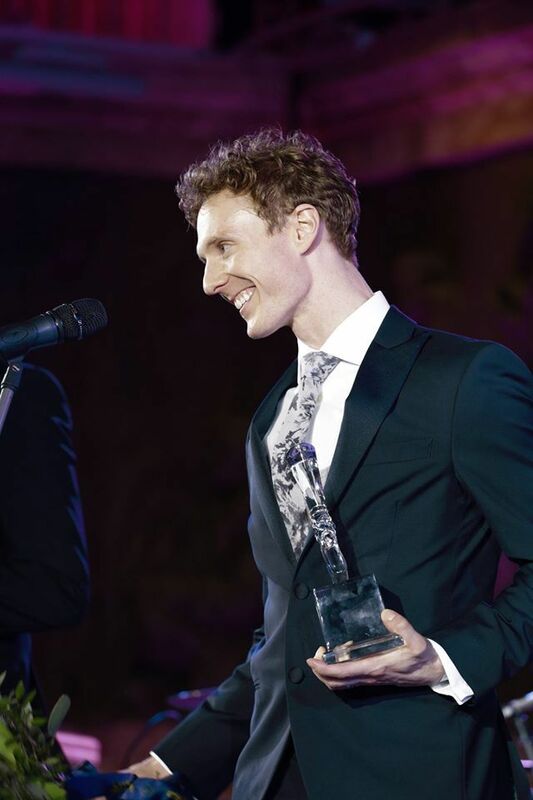 Another went to Jordan Kelly local dancer and choreographer in musical theatre ‘for his body of work as an outstanding dancer, and consistent achievements as a talented choreographer, as evidenced in a number of musicals throughout 2012’. In November, the ACT Government also announced its nominations for the Australian of the Year awards. At this ceremony the ACT Local Hero Award was presented to dancer and mentor, Francis Owusu. There is an enormous amount of community dance currently being practised in the ACT and Francis Owusu founded Kulture Break, a not-for-profit charitable creative arts organisation with a community focus. It acts as an outlet for young people to build self-confidence through dance. Here are links to my reviews published during November by The Canberra Times—performances by Les Ballets Trockadero de Monte Carlo and short + sweet dance. The five most visited posts in November were: Thoughts in Pina Bausch’s ‘Rite of Spring’; ‘Icons’: the Australian Ballet; Lana Jones and Kevin Jackson dance Balanchine; ‘Concord’: the Australian Ballet; and ‘Swan Lake’: the Australian Ballet. For a variety of reasons the Library decided not to proceed with publication of the manuscript as a title in the Australian Lives series. A proposal was considered again in 2008 after I had added to and significantly enhanced the manuscript once I no longer needed to adhere to a limit of 25,000–30,000 words. Again the Library decided not to proceed, with the final decision being made on the grounds that the publication would not attract enough public interest for sales to cover costs. Eventually, in 2011, I found a publisher who thought publication was a viable proposition, but other circumstances relating to copyright and permissions, which I was unable to secure, meant that once again publication did not proceed. However, a huge amount of research went into the manuscript. Some of it was conducted overseas and some of it foregrounded works by Tankard that have not been seen in Australia or that were one-off shows. Extensive research also went into putting together a list Tankard’s choreographic works from 1977 to 2009. In addition, many, many people generously shared thoughts and material with me. It seemed a cruel fate for this research not to see the light of day. So, I published the major part of it on this website. I am delighted that the book is now available in expanded form as a self-published print production—unfortunately though without images! The print edition includes the eight chapters originally posted on this website plus a preface, introduction, bibliography, index and an updated list of choreographic works. Ordering details are at this link.